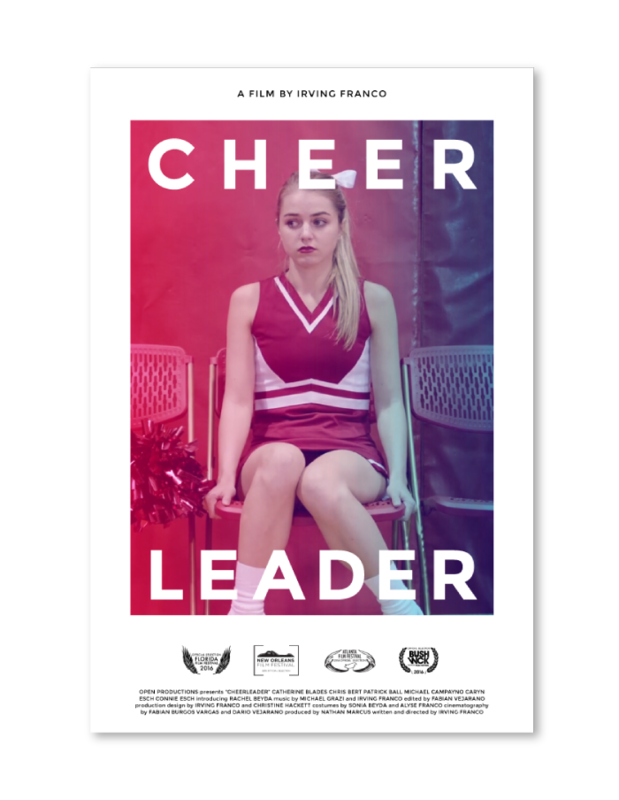 Cheerleader is an independent film by Irving Franco. The movie follows the main character and her thoughts, often setting the mood with vibrant colors. As a way to capture the spirit of the film, this movie poster and promotion materials were commissioned to sell the film after touring indie film festivals.